2010 has been the year of immersive experience. Among many minor masterpieces by titans of cinema, and several stunning debuts, stand out five films, each of which delve into a distinct paradigm of feeling. None bear direct comparison, but each identifies and expresses a mode of appreciating value in a chaotic and cruel world, while at once removing us to another of its own creation. Fred Wiseman, paragon of vérité, takes us behind the curtains (above the rafters, beneath the cellar) of L’Opéra de Paris. There can be no better way to appreciate dance – his exhaustive approach drags the audience through the full ordeal of creating ballet. By the second hour, we find ourselves inside each performance, so close up that movements resonate as pure emotions. Tom Ford directs the true story of a lecturer whose lover dies in a tragic accident, and who then plans to end his own life. 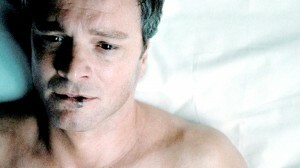 Teetering over the abyss, Professor Falconer (Colin Firth) finds, in beauty and the possibility of love, a reason to live. Sophisticated aesthetic effects implicate us in the professor’s hypersensitive state, drawing attention to miniature marvels and the nuances of other humans’ feelings. Tilda Swinton plays prima donna of the Recchi clan: an archaic, asphyxiating Milanese textile dynasty. Her trilingual performance is utterly convincing. Gradually, Emma Recchi’s smothered identity reveals itself in moments of intense pleasure, with her individual senses isolated and expressed on screen. Despite its ultimately crude metaphorical message, the film’s method is utterly exquisite. Staring into the heart of darkness, Claire Denis delivers a characteristically cryptic film that expresses her complex view on French involvement in Africa. As in her earlier work, we are lulled into a feverish dream-world: an unnamed landscape of child soldiers, expiring white colonial masters, refugees and an enigmatic popular freedom fighter. As Isabelle Huppert’s Maria Vial clings fervently to her father’s coffee estate, dream transforms into nightmare. And now for something completely different. Werner Herzog’s perverse vision of Bad Lieutenant shares the delirium of White Material; but here, we share the intoxicated mind of our titular antihero. Out-of-body experiences temper the operatic vulgarity of Nicholas Cage’s Lieutenant. These lucid moments are typically embodied by reptiles (iguanas, alligators): comic mimes and impassive straight-men, personified. Herzog’s natural world precedes mankind’s moral ambivalence. 2010 has given us three films which articulate values in life (art, love and the senses), and two which express its moral ambiguity (one apocalyptic, one comedic): five films grappling with the essential qualities of humanity. And is this not the very definition of a timeless classic?